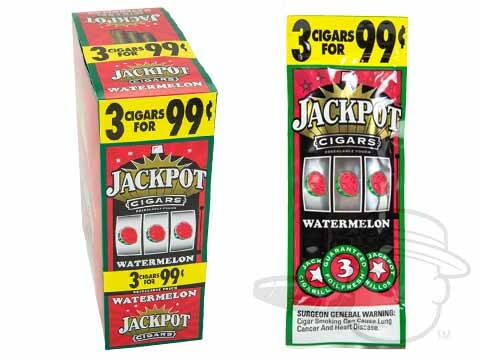 From the original makers of White Owl comes a new breed of affordable cigarillo that’s raising the stakes. 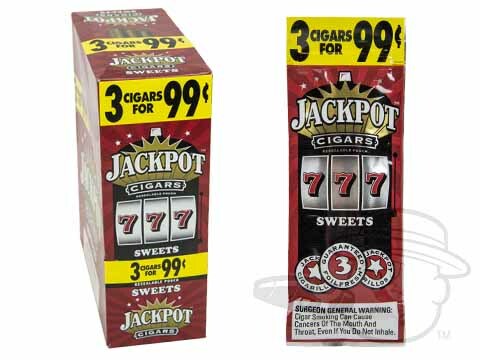 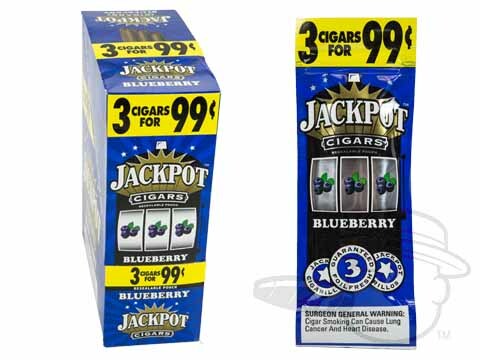 Jackpot brings you a bold, aromatic, and ultra-flavorful smoke at a truly unbeatable price point. 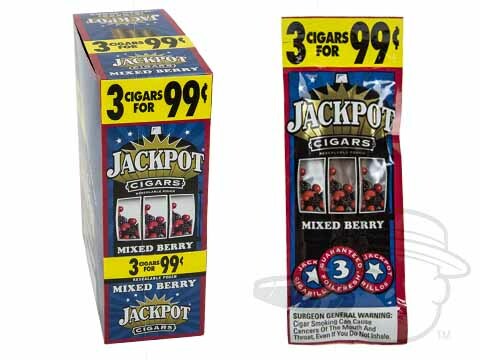 Boasting flawless consistency and a perfect draw on each flavor-soaked puff, these mellow, mouthwatering sticks bring you sweet stogie satisfaction in a variety of audacious flavor options. Packaged in resealable foil fresh pouches of 3 cigarillos, Jackpot will have you feeling lucky every time you light one up.